A large happy family with their new home. 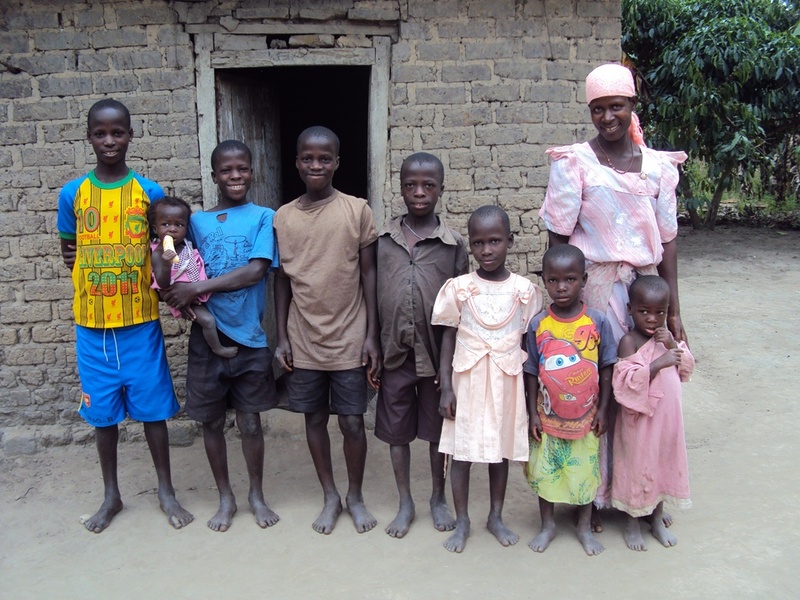 Seven-year-old Grace and her seven siblings live with their mother, Veronica. All of the eight children are aged between two and 15 years old. Veronica and her eight children were abandoned by the father of her first seven children. They live in a very small house (10 feet by 12 feet) situated on a very small piece of land that is not large enough to grow enough food. A teacher in the area who was particularly concerned about the children’s health informed RODI about Veronica and her children. When RODI met the family, the family was truly miserable. 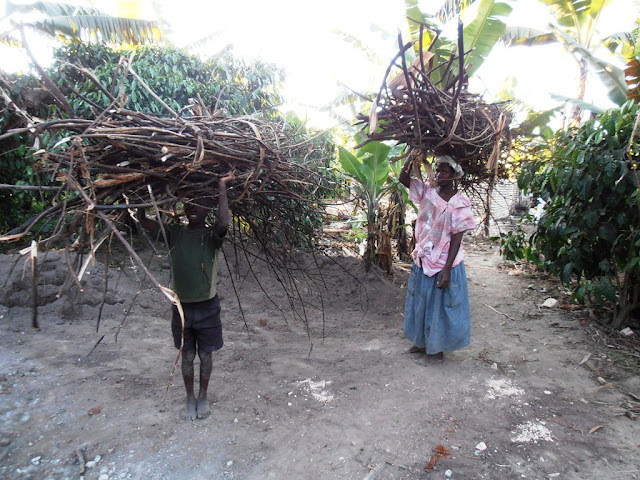 Veronica could neither send her children to a school nor care for their health. The roof leaked; rainy nights were the hardest. The children irregularly attended a very poor school situated three miles from their home. Every morning Veronica would search through the villages seeking to work in exchange for food. On some days, she would ask her children to join her so that they could get enough food. Veronica recalls that many times they ate only one meal in a day, and sometimes all they had was a cup of warm water. Veronica was extremely desperate. She met a man she thought would help support her and her children. Unfortunately, he also abandoned her when she became pregnant. Thankfully, Veronica was able to deliver the baby with the help of a local birth attendant. Because of her malnutrition, Veronica could not nurse her baby whose growth suffered. When RODI first visited, the 18-month-old only weighed 4 kilograms (17 lbs.). In 2010 we visited the family with a group of friends visiting from the US and we are happy to report that dramatic change has taken place. With support from various people, a new house was constructed for the family. They received mattresses, and they now rear pigs as a future source of income. In October 2011, Grace got a sponsor and she enrolled into a very good school. She loves school and is progressing well. In January 2012, her oldest brother, Alex, also got a sponsor but could not enroll back into formal school because he was much older than the class he was supposed to join. He chose to train in carpentry, and he is enjoying his training. Alex plans to start a workshop using the tools that are already donated by his sponsor. Yes, there is still need in the family, but the positive changes since 2010 give us the reason to be thankful for the generosity of many. There are more families in the community living under the same conditions as this one as well as more children like Grace and Alex who would greatly benefit from donations of any kind. ACT supports these grass-roots community efforts in Rakai, Uganda that directly impact women and children suffering from the social and economic ravages of AIDS. Change is happening. Be a part of it. Contact ACT to learn more.